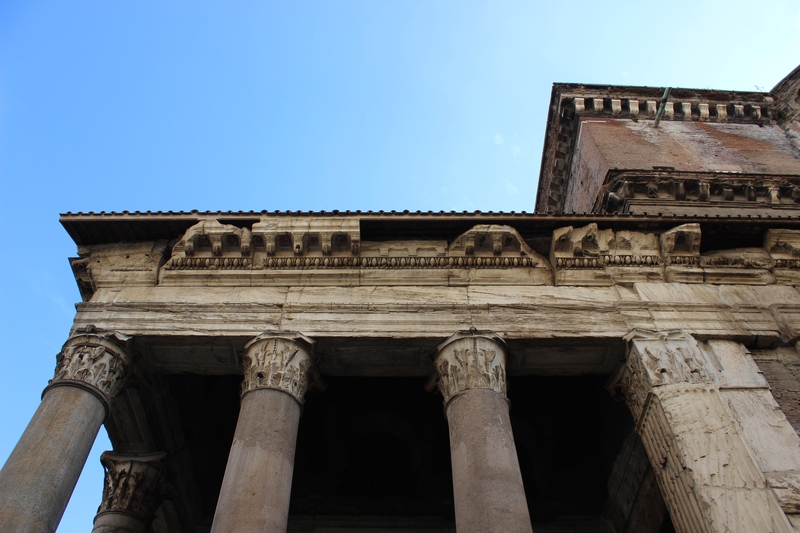 If you think lugging your suitcase through the multi-leveled, maze-like ordeal that is Malpensa, consider the laboriousness lugging the granite, Corinthian columns that have stood in place since their construction in AD 125 all the way from Egypt. At 60 tons each, these columns were first quarried in Egypt, then floated on a barge down the Nile, where they were moved onto larger vessels to traverse the Mediterranean Sea. Once they arrived at Ostia, they were again transferred onto barges and pulled, (yes, physically pulled!) up the Tiber River. Mind you, they did not magically fly from the banks of the Tiber to their perfect placements at the front of this Roman Temple, this temple that is dedicated to all gods of Pagan Rome, this temple that doubles as resting place for Italian Kings Vittorio Emanuele II and Umberto I, as well as renaissance painter Raphael and his fiancee. 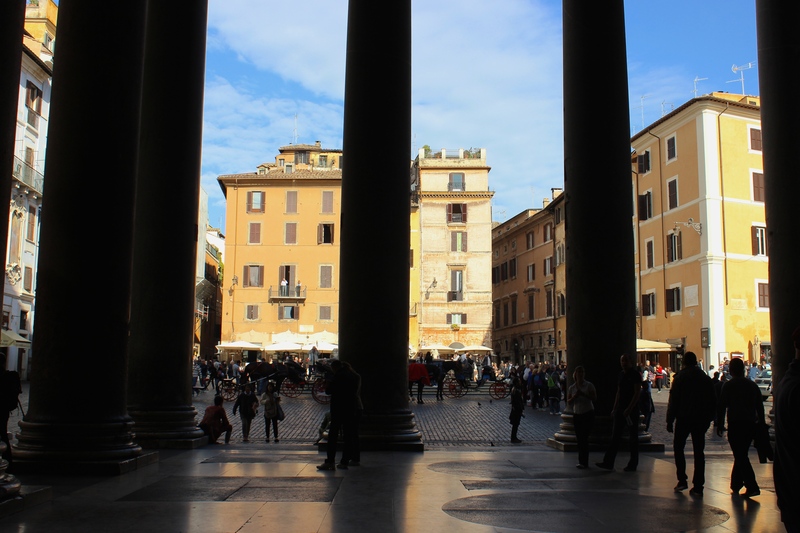 Imagine how many hands have touched those granite columns; have wrapped their fingers around them, looking out into Piazza della Rotunda, at one time a dirty, tempestuous piazza infamous for its peasants, unsightly carts, and grime. Imagine how many creators, innovators, designers, architects, and engineers have made pilgrimages to this almighty conception, this great feat of engineering, this example of genius. Imagine how many visitors have craned their necks upwards towards the oculus that captures the sun, that lights the entire structure with magnificent effervescence. 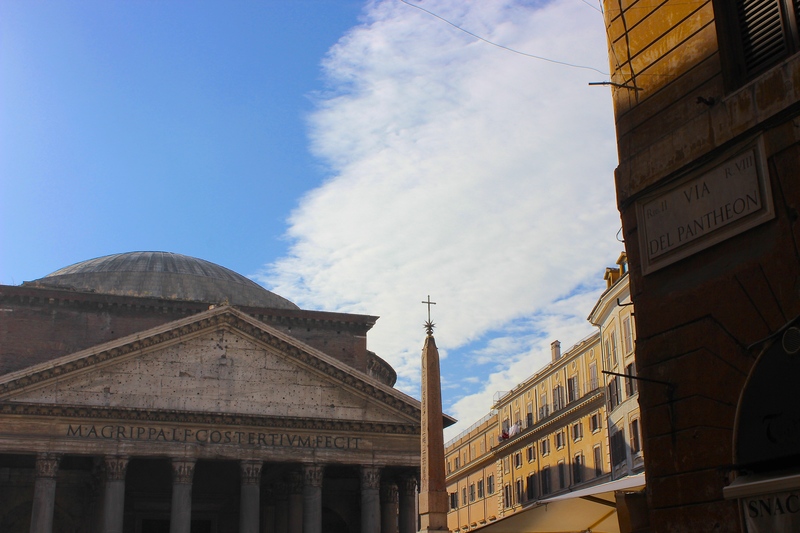 The Pantheon is one of the most in-tact structures of ancient civilization; as crowded as Piazza della Rotunda may be at various times (it was manageable in early November), one cannot pass through Rome without contemplating its design and construction for at least a few moments. 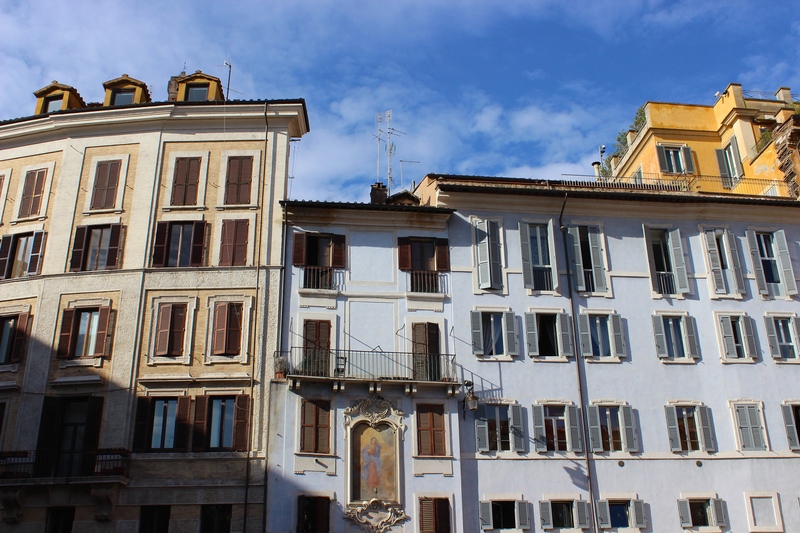 The buildings surrounding Piazza della Rotunda are home to many apartments with supreme views of one of the most visited sites in the world. 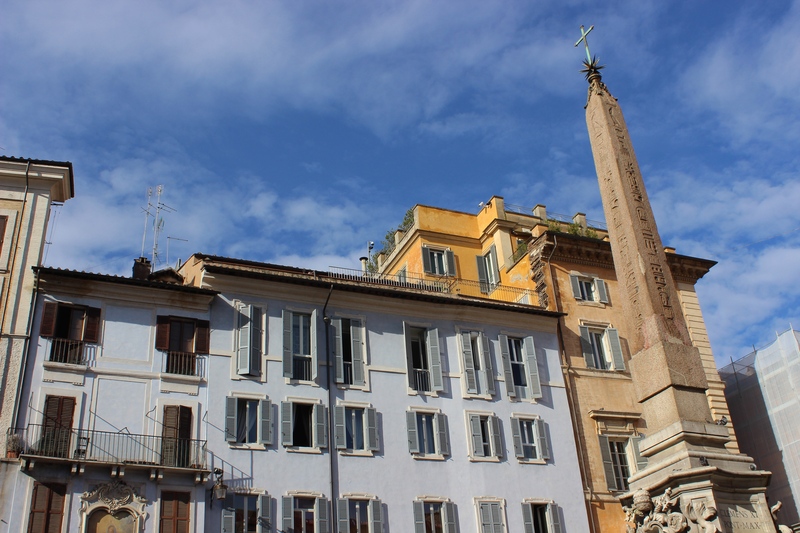 The pastel-colored buildings surrounding the piazza, which Napoleon threatened to tear down in the early 19th century. 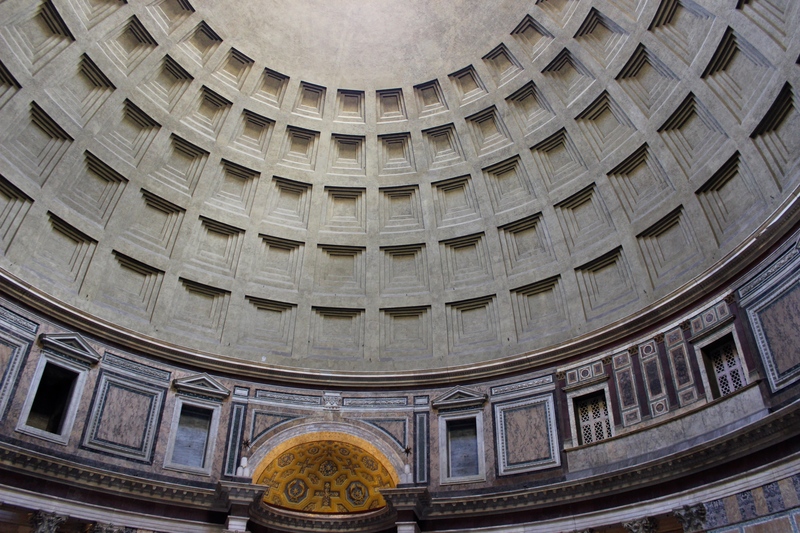 The Pantheon is one of the greatest engineering feats of all time. Architects the world over visit this inspirational site throughout their careers. The dome was built with heaviest materials at the lowest point and increasingly lighter materials towards the oculus. 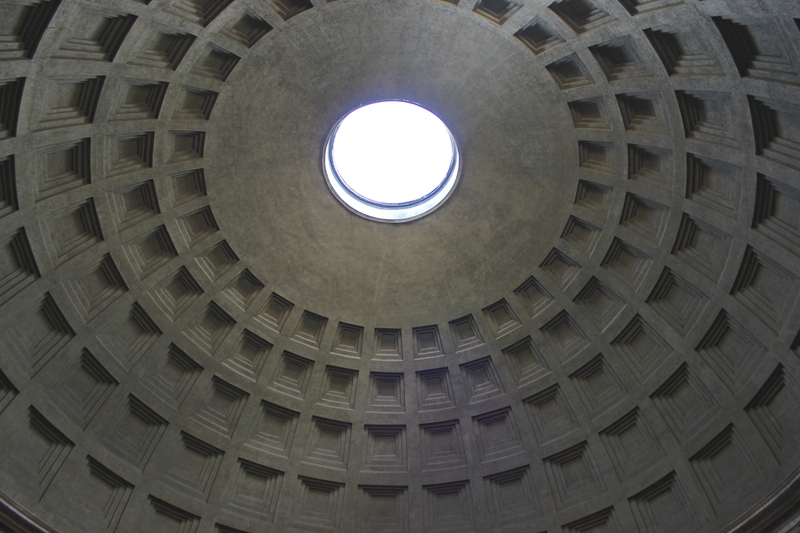 With just this one oculus, the Pantheon is remarkably light throughout the day. As the earth shifts, the light inside the building shifts as well. 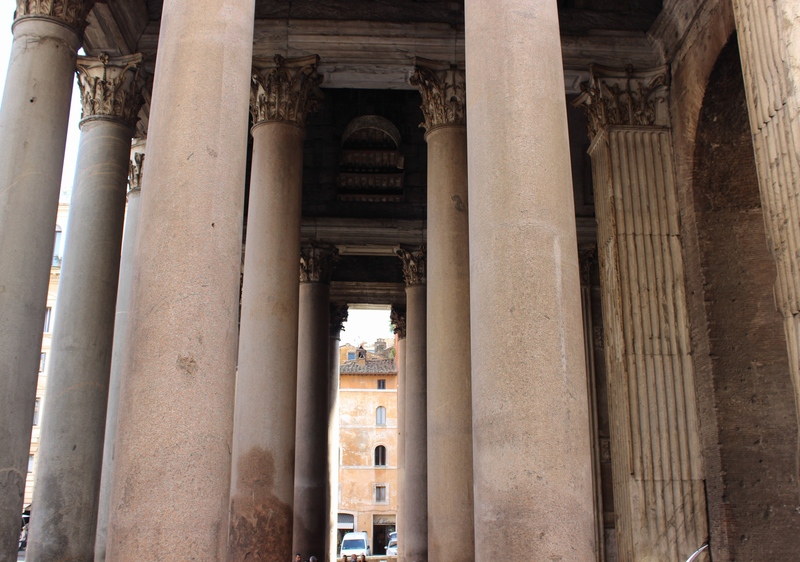 Looking out at Piazza della Rotunda from underneath the columns. 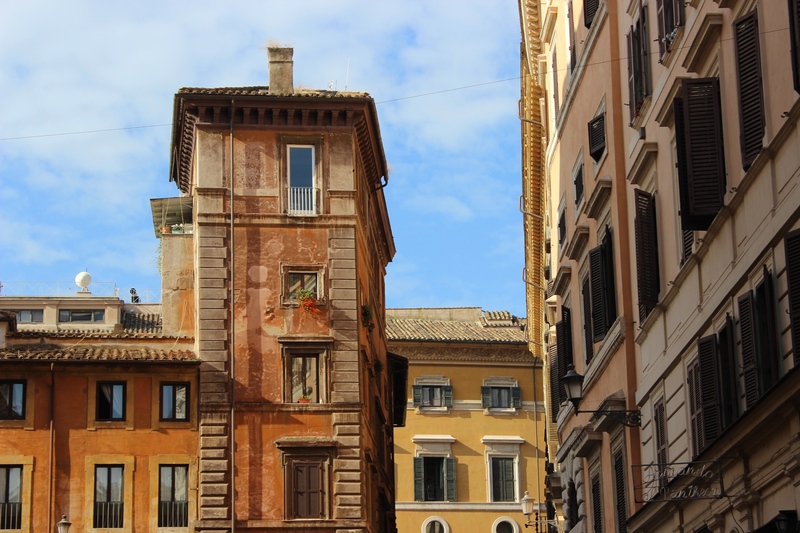 This building may look like a painting, but that patina is not so easily replicated. 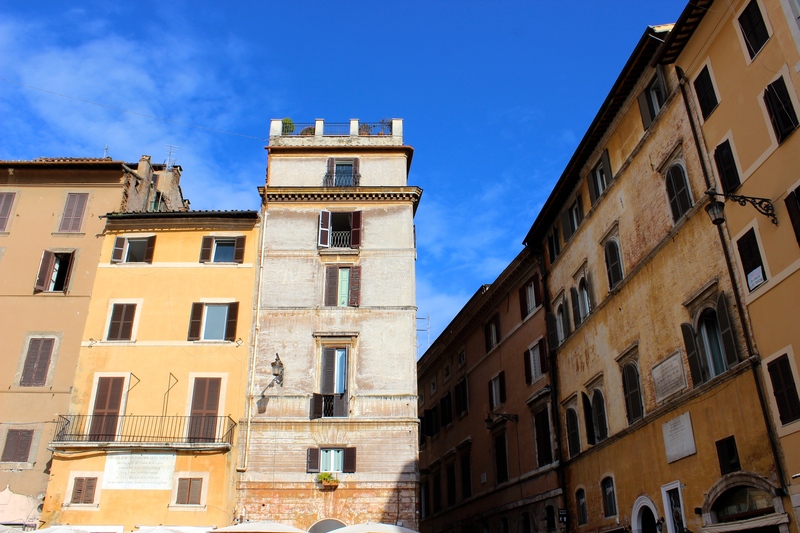 Oh Rome, your colors, your shutters, your light. 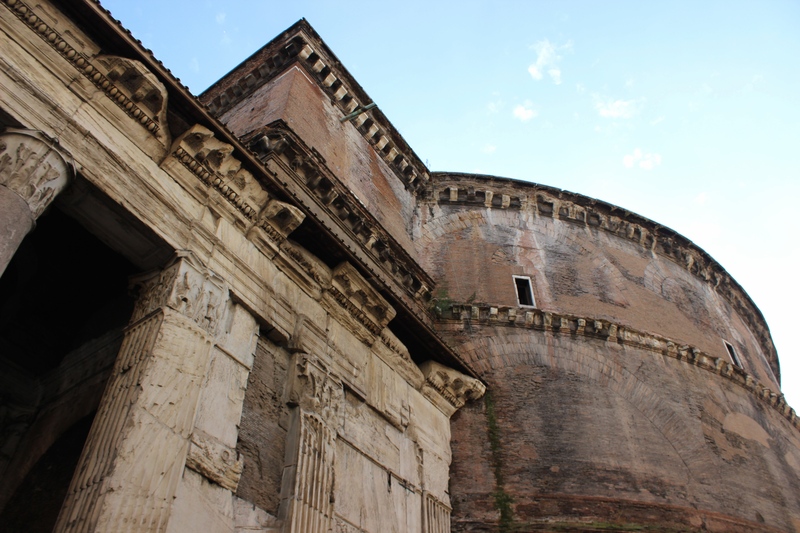 From the bottom of Capitolini. 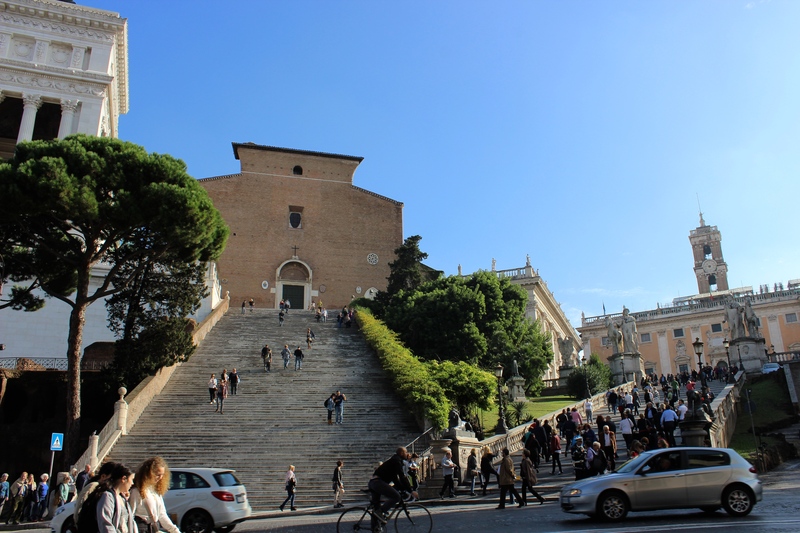 The staircase on the right is the ‘Cordonata’ designed by Michelangelo as the approach to the Piazza. 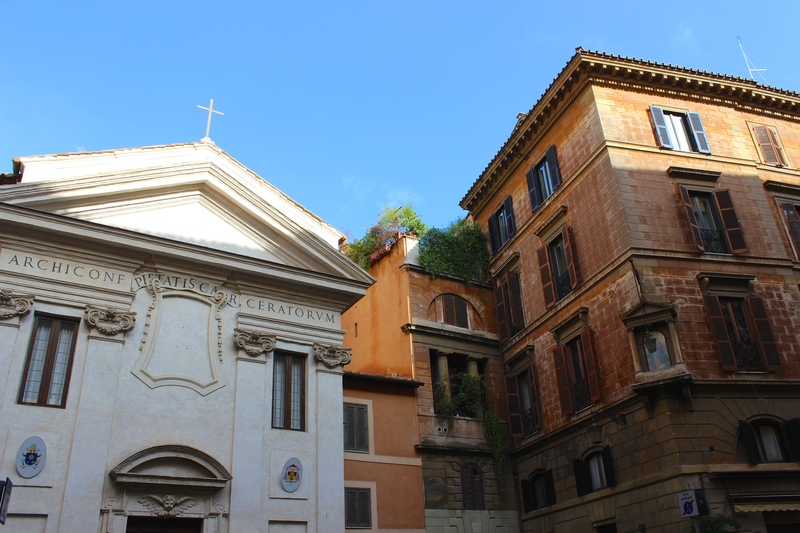 The only way to truly see, smell, hear, experience, and appreciate Rome is to wander endlessly through its meandering streets. I have spent a fair amount of time in the city, but I remain eternally confused by its layout. Even those with a fine sense of direction will find themselves chasing their own tail,but honestly, what harm is there in that? If you did not notice the vine steadfastly covering a building on a narrow lane you walked down 15 minutes before, now you can soak up the color. 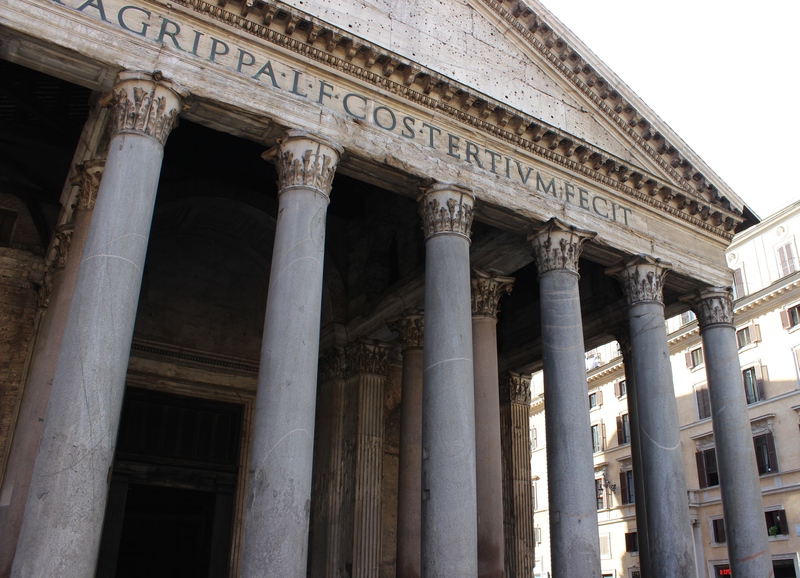 If you head south from the Pantheon, you are heading in the right direction for Capitolini. 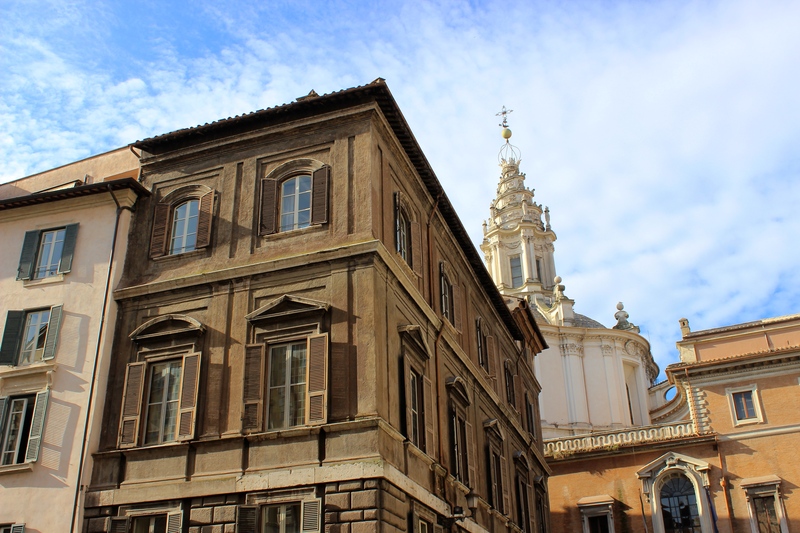 The perfectly symmetrical Piazza del Campidoglio and palazzi were designed by Michelangelo and his architect colleague, Buonarotti. Michelangelo designed the eye of the piazza to face St. Peter’s Basilica and Papal Rome, as opposed to the Roman Forum which is situated just behind it. 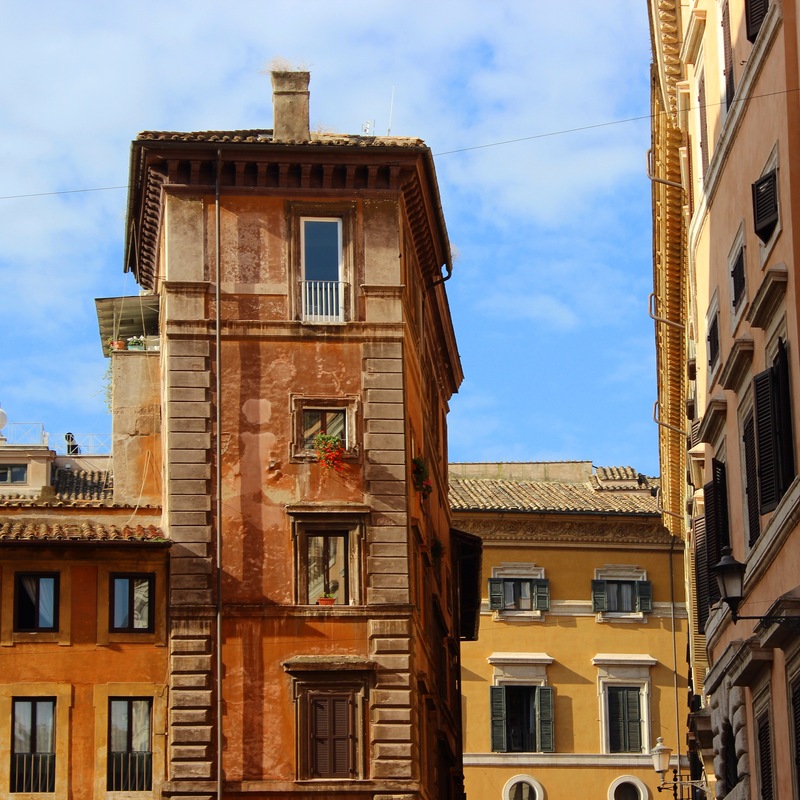 His goal was to position Rome in a new way, to move on from its past. Walk across the slightly tilted piazza towards the Foro Romano. Here you have a spectacular view of the ruins of the Roman Republic. If it’s the weekend, walk a bit further onwards in the Circo Massimo zone, and you might magically find yourself at one of the city’s most beloved markets: Mercato di Campagna Amici. Don’t trust your map to get you there; follow the scent of organic produce and look for the cars all vying for parking spots. The Roman Forum used to be the center of the city. All business was done in this small area.